Lance Toland addresses International Studies students who have just been inducted into Pi Beta Delta International Honor Society, with school Provost, Tracey Pellet. 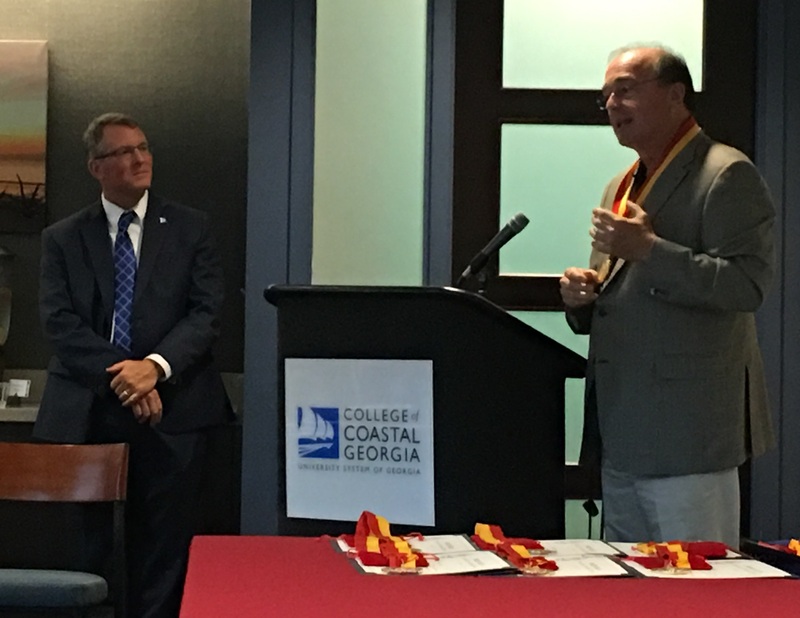 Toland is a major supporter of the College of Coastal Georgia and serves on the Foundation Board. Toland was instrumental in the College of Coastal Georgia recently joining with Anguilla Community College, an unique island nation found in the Eastern Caribbean. Both schools are now exchanging professors and students in Buisness, Hospitality, and Coastal Ecology studies.